Did you know that brushing and flossing your teeth on a regular basis does much more than keep your teeth and gums healthy? Good oral hygiene habits also helps to prevent serious illness that you may not have even known could be caused by poor dental care. Gingivitis, for example, is the leading cause of bleeding gums, and it affects as many as 1 out of every 2 Canadians. Gingivitis is most commonly caused by lack of oral hygiene – such as daily brushing and flossing. By brushing and flossing regularly, you remove the build-up of plaque. Failure to remove plaque then leads to the gums becoming red, sore and inflamed. 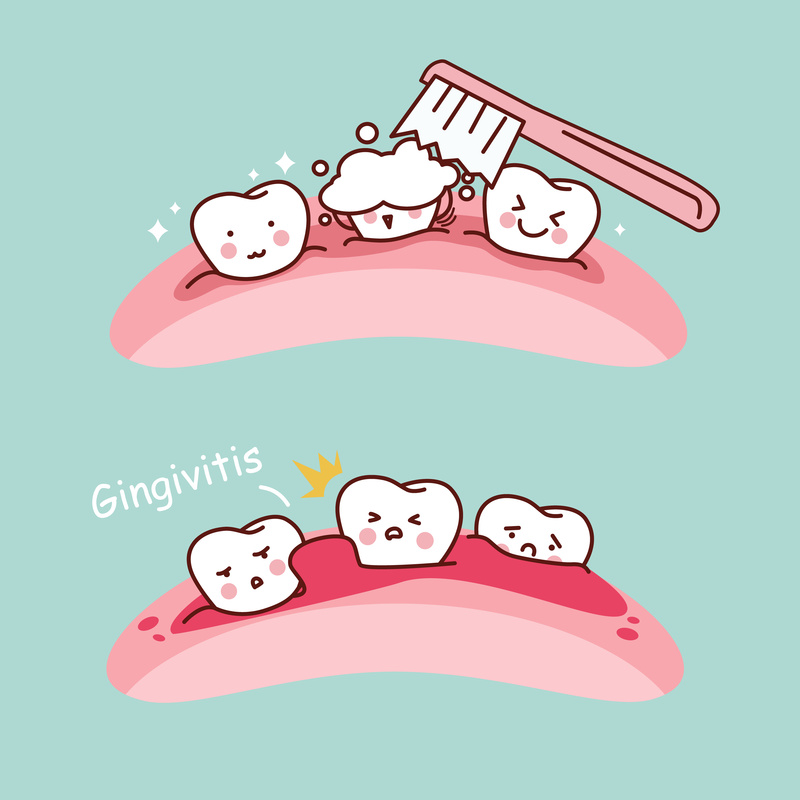 The first step in treating gingivitis is to get a thorough teeth cleaning done by a hygienist. A hygienist has proper dental tools to be able to remove the build-up of plaque that you may not be able to remove yourself by simply brushing. To continue your care and ensure your gums are on a healthy path, the hygienist will usually go over proper brushing and flossing techniques with the patient. Gargling with a warm salt-water rinse or antibacterial mouthwash may also be recommended by your hygienist or dentist, as well as more frequent teeth-cleaning appointments. By leaving gingivitis untreated, you are at a high risk of developing cardiovascular disease. This is due to the fact that gingivitis can also cause infection of the gums, and the bacteria as a result of the infection can enter into the blood stream, travel directly to the arteries in the heart, and cause a condition known as atherosclerosis – commonly referred to as hardening of the arteries, which can block the body’s blood flow. Bacteria from infected gums can also enter the brain through certain nerve channels or via the blood stream, which can then lead to the development of dementia. You can also develop respiratory infections after a prolonged period of time, and even complications of diabetes. Individuals with diabetes are much more susceptible to dental disease such as gingivitis, so proper dental care is especially important in those with pre-existing health conditions such as this. As mentioned in Dr. Ali Ghahary’s earlier article, lack of oral hygiene can also lead to tooth decay, which can then lead to potentially requiring a root canal – or, if the tooth cannot be saved, extraction. 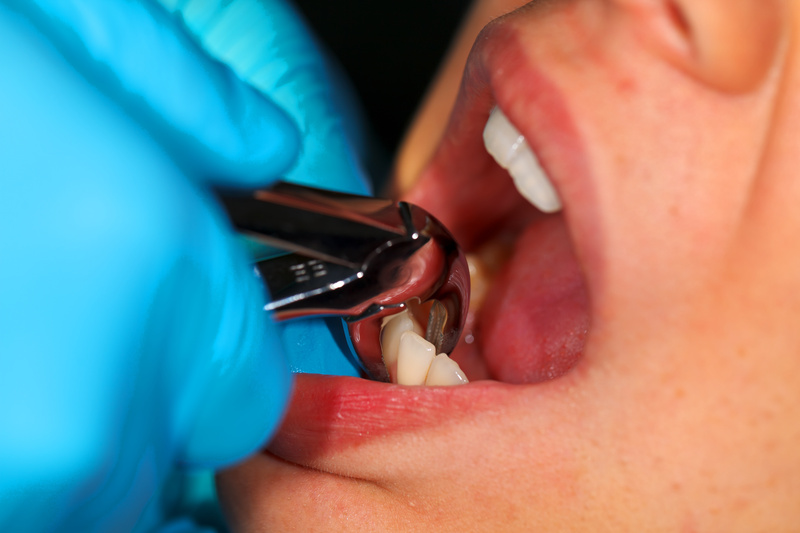 Dental extractions can be hard on the body, and the recovery process isn’t always a fun one. For instance, dry socket (also known as alveolar osteitis) is a common but extremely painful condition that can happen after dental extractions. Dry socket occurs when a blood clot does not properly form (or is lost) in the area of the extraction, leaving underlying nerves exposed, thus causing pain. In order to treat dry socket, your dentist will first clean the area and then place a special dressing in the extraction site to help speed up the healing process, though it can take several days for the pain of dry socket to diminish. As with any dental procedure, always follow any post-op instructions given to you by your dentist and be sure to see them for a follow-up appointment if you have any concerns or questions. If you are experiencing pain and are unable to make an appointment with your dentist, try using over-the-counter analgesics such as Advil or Tylenol. Dr. Ali Ghahary, a family physician practicing at Brentwood Medical Clinic in Burnaby, may also be able to make recommendations until you are able to see your dentist. No appointment is necessary to see Dr. Ali Ghahary; you can view his walk-in schedule by visiting alighahary.ca/schedule. If the pain becomes unbearable then a visit to the emergency room may be warranted. Complete blood cell counts, commonly referred to as CBC, is a routine blood test that Vancouver, British Columbia physician, Dr. Ali Ghahary, will send patients for in order to review their overall health as well as determine any potential underlying medical conditions or monitor any pre-existing ones. A CBC will measure many different components of your blood, including the red blood cells, white blood cells, hemoglobin, hematocrit, and the platelets. If these numbers are shown to have an abnormal increase or decrease, the patient will then require further medical evaluation by their physician. When a patient has a low white blood cell count, the reasons may vary. It can be due to something as simple as vitamin deficiencies – which can often be easily treated by taking supplements/making dietary changes – or more severe causes such as an autoimmune disorder, severe infection, sarcoidosis, and cancer or other diseases that cause damage to bone marrow. Chemo and/or radiation therapy, HIV/AIDS, lupus, and rheumatoid arthritis can also impact your blood count. Having a low red blood cell count is a strong indicator that the patient may be anemic. You can find more information on anemia from Dr. Ali Ghahary by clicking here. Depending on the cause of the low blood cell count and the symptoms that are presented, Dr. Ali Ghahary may choose to refer patients to a specialist such as a rheumatologist or oncologist. In cases where the cause of the low blood cell count is unknown or not easily determined, Dr. Ali Ghahary will refer patients to a haematologist. 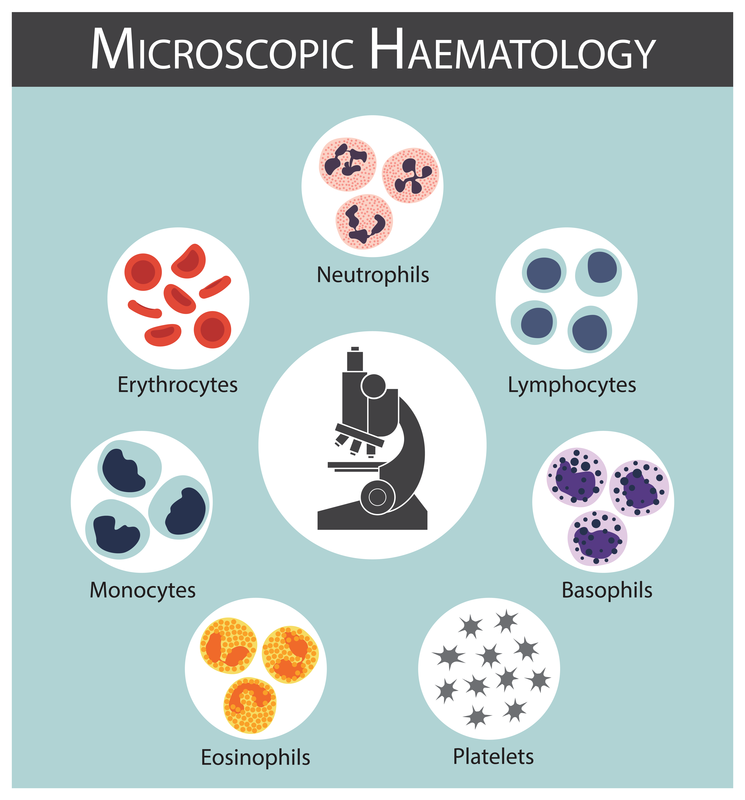 A haematologist is a type of medical specialist who studies the science of blood as well as certain diseases and malignancies of the blood, such as different forms of lymphoma, leukemia, hemophilia and sickle-cell anemia. April is Parkinson’s Awareness Month. On his website, Dr. Ali Ghahary, a family doctor from Vancouver, writes about the disease and provides information on how you can get involved in the campaign. 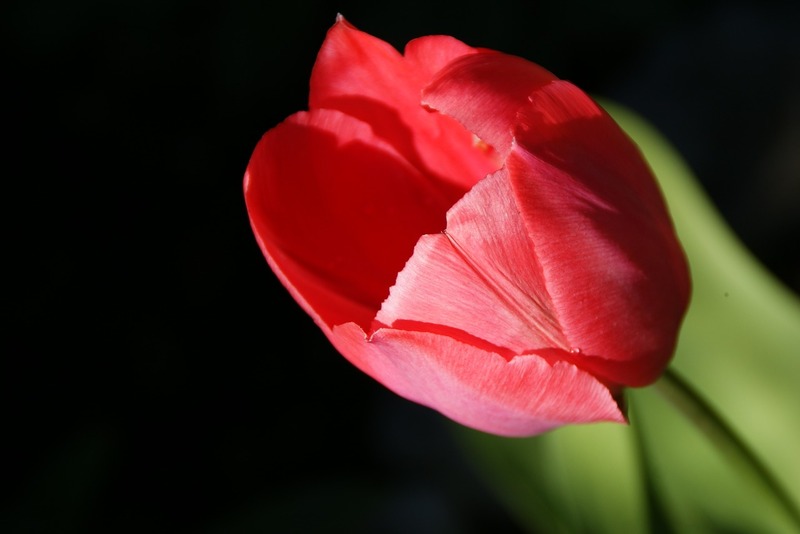 You can also find additional resources via the Parkinson Society of British Columbia. Before joining Brentwood Medical Clinic in 2011, Dr. Ali Ghahary worked with a large percentage of geriatric patients, including at the Louis Brier Home & Hospital in Vancouver – a long-term care facility funded by the Vancouver Coastal Health authority. In 1914, Dr. Ignatz L. Nascher wrote the first book on geriatrics. The term “geriatrics” is derived from the Greek work “geras,” meaning old age, and “iatrikos,” meaning physician, and is the field of medicine that specializes in the healthcare of elderly patients. In 2014, over 6 million Canadians consisted of geriatric patients aged 65 and up. That number is expected to rise by as much as 7 percent in the year 2030. According to the World Health Organization, the average life expectancy in Canada is 82.2 years of age. As seniors are now living healthier and longer lives, this is an umber that is also expected to rise over time. However, elderly patients often require more healthcare resources including assisted living and extended care facilities.